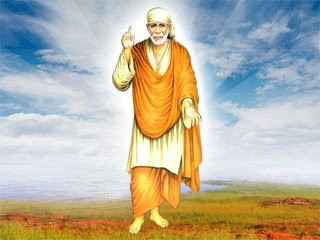 In last few posts Shirdi Sai Baba Mobile wallpapers were posted which were created by my brother. 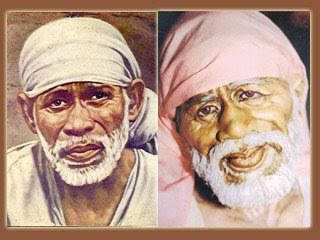 Seeing this Sai brother Vikram ji was also inspired to share few wallpapers from his side too. Today morning i saw his mail poured in my mail box with the following details. This is Vikram from Chicago. Hope all's well at your end. First, let me thank you for publishing your blog and spreading Sai leelas throughout the internet. 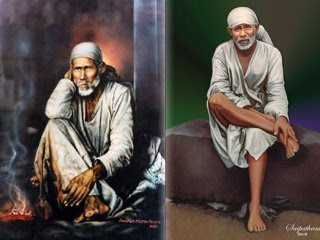 I visit your blogs regularly as it gives me peace and affirmation that Sai is watching over us, making sure that His bhakts are ever content in life. 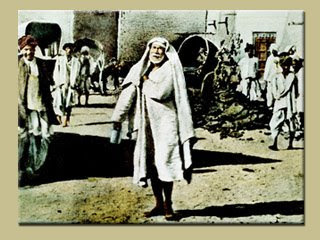 Recently, I noticed that you published a few blog posts with Sai Baba's wallpapers for mobile phone. Thank you for doing so. Since I use a Blackberry phone (screen resolution : 320 x 240 ) myself and I know that a lot of Indians here in US use blackberry or similar models of smartphones, I thought I'd share some Sai wallpapers I made that fit the dimensions of the screens of such phones. I have attached a zip file with 5 wallpapers I created for this purpose. I would not like to take full credit for these wallpapers as I just googled a few good Sai pictures and used photoshop to add a few effects here and there or just plain resized them to fit the right dimensions for the blackberry and other similar smartphones. I will send more in the future if you like. If you like the wallpapers created by Sai brother Vikram and if you wish to get more, please drop in your comments to this post. You can save wallpapers by clicking on them or download from the link below. 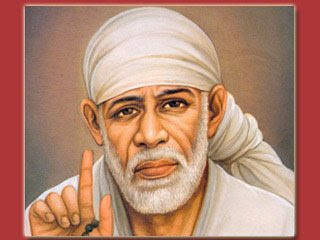 Thankyou so much for posting saibaba waillpapers for blackberry. I liked it and downloaded it on my BB curve 9300. Pls do post more pics for this handset. Thanks a lot.